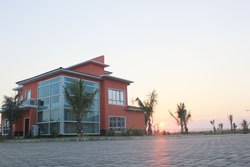 Beira hotels, accommodation and places to stay. Guide to where to visit and where to stay in Beira Mozambique. Information on Beira Mozambique, location of hotels, lodges, camp sites, guest houses, bed and breakfasts and places to stay in the Beira area of Mozambique. Distances from major attractions to Beira and information about shops, fuel and facilities. Beira is a busy port city in Mozambique, not much for tourists here but plenty for the business people, there are a few Beira hotels here are the Hotels and places to stay in Beira Mozambique. Beira is Mozambique's second largest city and is fairly modern by Mozambique standards. It is home to Mozambique's busiest port. We are located right in front of the beach. It's perfect if you're coming to spend some holidays or for a business trip. 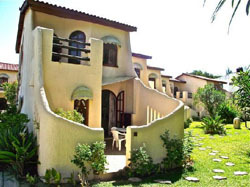 We are self-catering, but there are wonderful restaurants nearby where you can experience proper Mozambican cuisine. 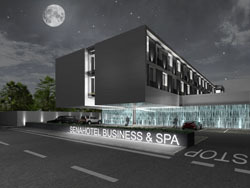 Sena Hotel in Beira has spacious en suite bedrooms and is complete with a restaurant and bar. It'ss modern architecture and bold interior design which creates a feeling of a designer hotel, is one of the many reasons why The Sena Hotel stands out. The VIP Inn Beira Hotel is classified has a 3 star Hotel, with a total of 54 rooms from which 3 are Suites and also one Junior Suite. 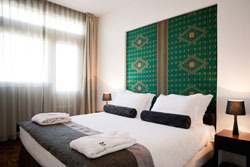 All room with ensuite facilities, and equipped with air conditioning, direct dial telephone, digital safe and mini bar. Also available is a 56 person’s conference room for you to have a meeting or a conference. 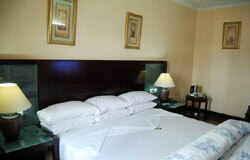 The Hotel offers to its clients a transfer from Airport/Hotel and vice versa free of charge. 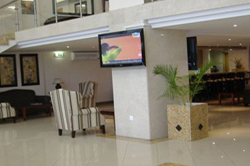 Welcome to Rainbow Hotel Mozambique, the venue of choice for all your accommodation and conferencing requirements in Beira. Centrally located in the Mozambican second largest city of Beira, Rainbow Hotel Beira is a towering architecture that welcomes the visitor to the port city. Beira is Mozambique's second largest city and was built north of the ancient town of Sofala, once one of the most important ports in Africa. 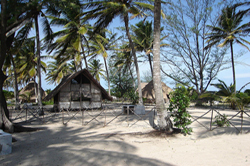 While the old Sofala port has been largely reclaimed by the ocean, Beira is built on land which as once swamps below sea level. The first buildings of Beira were built from zinc, giving rise to the name "Zinc City" by which it was known for many years. The catherdral is constructed from the imported portuguese stone used to build the fort of San Caetano in Sofala and rescued before being overtaken by the sea, San Caatano was the first Portuguese fort in Mozambique. A short future was predicted for Beira city when first it was built for military purposes during the colonial period, however the development of the port and railways to Zimbabwe and Malawi have placed the city of Beira firmly on the map. Many business people fly to the international airport at Beira, however there is little reason for tourists to visit. More attractive than the city is the laid back holiday resort Rio Savanne 40km north of Beira on a gravel road situated between the mouth of the river Savane and the Indian Ocean. You will need to take a boat accross the river to the resort. Visit any exhibitions at "Casa dos Bicos"